Tim attended the Royal Agricultural College at Cirencester before qualifying as a Chartered Surveyor in 1971 and becoming a Fellow in 1979. He first worked for Pink & Arnold (later Dreweatt Neate, now Carter Jonas) in Winchester. In 1970 he moved to Savills in London and Lincoln where he was a salaried partner, before returning to London with Carter Jonas in 1977 where he was an equity partner for 13 years. Tim set up the London Residential Valuation Department when he joined the well-known estate agents Lane Fox in 1994, which expanded considerably following the merger with Strutt & Parker LLP, from which he retired in 2011. His work there covered a large volume of valuations of residential property mainly in London and the Home Counties for an extensive range of lending institutions, private/public organisations and individuals, as well as the various specialisms which his own practice now offers. 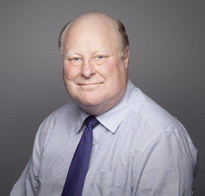 He was an RICS Housing Market spokesman for about ten years from 1988, including live and recorded TV and radio interviews and commentary for newspapers and magazines, mainly concerning the monthly RICS Housing Market Survey and other associated issues. He has given presentations on enfranchisement valuations at Central Law Training seminars.